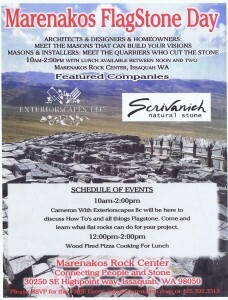 Last Friday Cameron gave a lecture and demonstration on flagstone patios and installation. The group consisted of people from the industry, homeowners, architects & designers. After the lecture everyone got to eat pizza straight from Maranakos’ wood-fired oven. 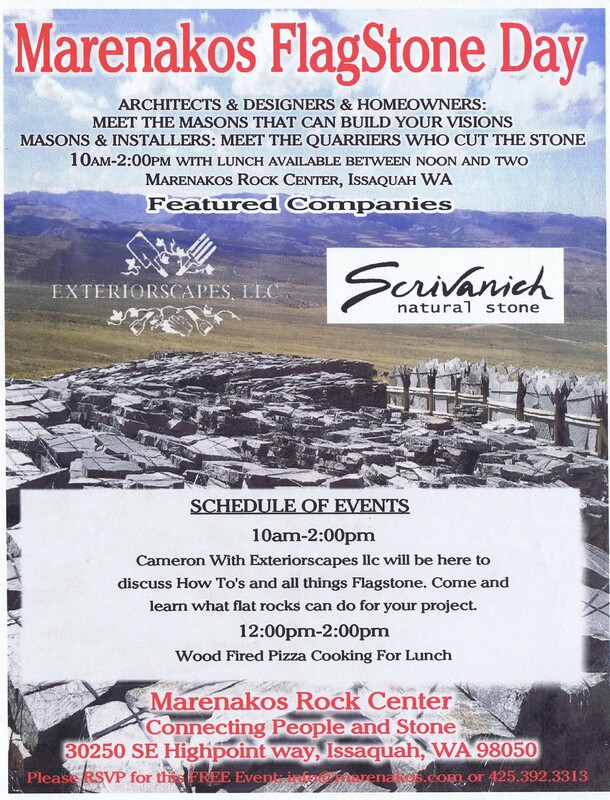 Maranakos will be hosting these educational events once a month, so stay tuned for more information about upcoming events! 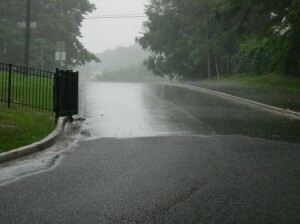 Stormwater runoff is a still a big problem in most urban areas. Impervious surfaces, such as rooftops, pavement, lawns and roads all prevent water from soaking back into the ground when it rains. 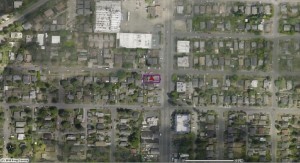 Take a look at an aerial photo of the city and you can see how much impervious surface there is – from commercial areas, to industrial facilities, to each individual house. In an effort to slow water down and get it back into the ground, one strategy is to make pavement more pervious. In areas where the soils are not already saturated and removing impervious surfaces is not desired, there are several permeable paving solutions to lessen the impact of our urban development. Permeable Concrete: Permeable concrete resembles a rice krispy treat. 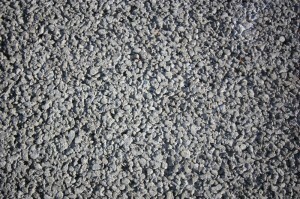 Concrete is used to coat aggregate particles and secure them together while maintaining space in between each particle. Water moves right down through the pavement and into a base gravel material, eventually soaking into the sub-soils. The maintenance of this type of paving includes periodic vacuuming by a large vactor truck to prevent clogging, making this type of paving most appropriate in commercial and public facilities. 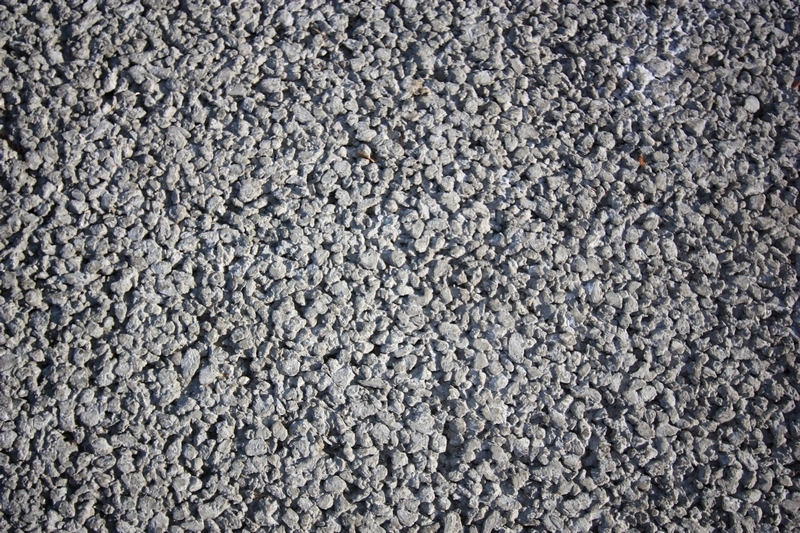 Permeable Asphalt: Permeable asphalt is similar to permeable concrete. Larger aggregate particles are used to maintain open spaces that water can travel through. This pavement also requires periodic vacuuming and is also most appropriate for commercial and public facilities. 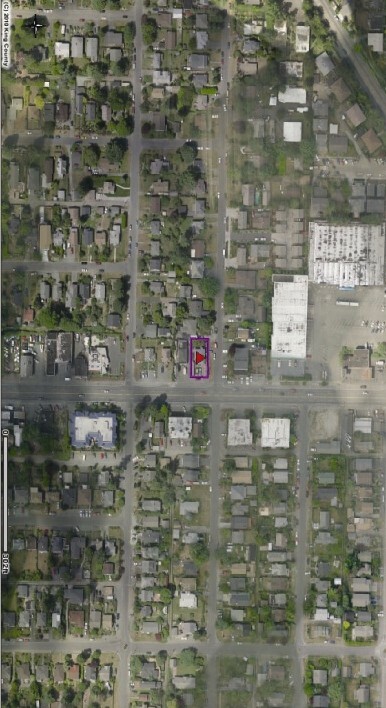 Permeable Pavers: All pavers are somewhat permeable due to the open spaces in-between the units. Using a gravel base with fewer small particles can leave more open space for water to fill in. Permeable paver products have extra gaps designed into the paver layout to increase the void spaces where water can filter into. Using an extra-deep, large particle base can provide an area for many gallons of water to be stored and filter slowly into the underlying soil. Some permeable pavers are designed for vehicular traffic, while others are just for foot traffic. Many more attractive types of these pavers have become available recently. Grid Systems: There are many products available featuring an open-cell concrete or plastic grid, that is filled with soil and planted with lawn. These are designed to increase the traffic load that can be accommodated on lawn, thereby decreasing the amount of concrete, asphalt or stone that is needed for foot traffic or parking. These systems are placed on top of a gravel base. The stormwater benefit of these systems is better than traditional paving, but not as good as the rest of the solutions listed. Lawn: Contrary to what you might think, lawn is often almost completely impervious. 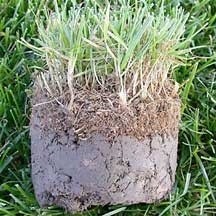 A new lawn can slow and infiltrate some water, but an old, compacted lawn with a significant thatch layer is similar to concrete. Lawn should not be thought of as surfacing that infiltrates water. Planting: Planted areas are the most basic and natural way of allowing water to soak into the ground. A healthy soil and mulch layer and low-maintenance plantings act like a sponge, taking in and holding water then releasing it down into the soil profile. Whenever possible, removing lawn and pavement and building up healthy soils is the best option for reducing stormwater runoff on the ground. Check out the Green Stormwater Infrastructure page on the Seattle Public Utilities website for more information on rain gardens, green roofs, rainwater catchment and other strategies for slowing our stormwater down and recharging our aquifers. Look who else likes Exteriorscapes! 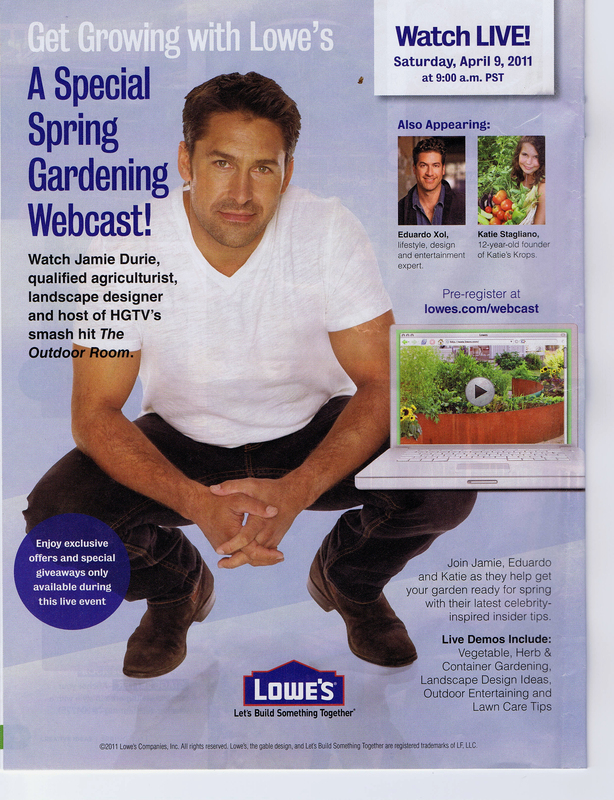 Our garden design was featured in a Lowe’s Idea Magazine ad with HGTV Landscape Designer, Jamie Durie. Click on the image to see our raised veggie beds made of corten steel.